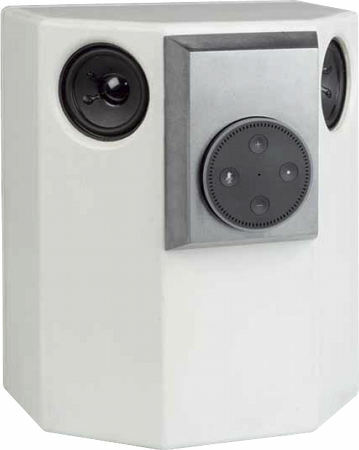 CT297 is a two way wall-mounted speaker. CT297 is a closed-cabinet loudspeaker with drivers of Visaton . - a 2nd order high-pass filter (12 dB per octave slope) for the full range driver In series there is a trap filter.. In the frequency response the trebles are strongly accentuated. At low volume, i.e. 85 dB at 1 m, the nonlinear distortions are below 1% above 300 Hz and doesn't exceed 2,5% at 95 dB at 1 m between 300 and 15000 Hz. In the Kit the ampifier and player are not included.